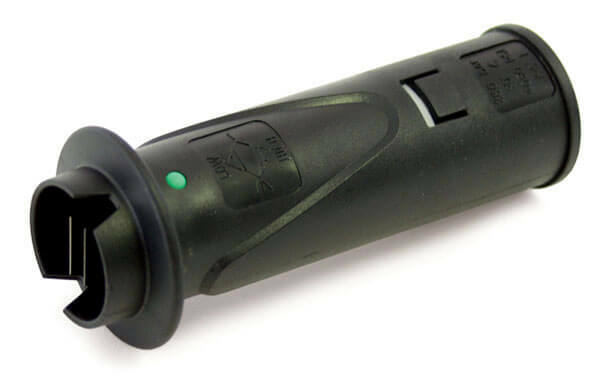 Pressure Washer Spray Nozzle can be identified by the nozzle "number", a four or five digit number that is stamped on the nozzle, which indicates the spray angle and orifice size. In all cases the first two digits of the nozzle number indicate the spray angle (disperse) in degrees. EXAMPLE: 00 is 0 degree, 15 is 15 degree, 25 is 25 degree and 40 is 40 degree. The last two digits of the nozzle number indicate the orifice size, a standard industry designation. EXAMPLE: 06 is a 6.0 orifice, 55 is a 5.5 orifice. These numbers correspond to the actual dimensions, giving the size of the orifice. They do not however directly indicate gallons per minute, flow rates or inches in diameter of the orifice. Some power washers come with an adjustable nozzle (called Vari Nozzle) that is attached to the end of the wand. The fan spray may be adjusted by turning the nozzle, chemical may also be applied by pulling out word on the nozzle. Caution: The spray force from these nozzles can cause injuries if pointed directly at yourself or others. Before observing directly always disconnect from spray wand. Make sure spray nozzle is properly locked in place with its quick coupler, if the collar is not in the locking position, the nozzle will become a dangerous projectile. The O-ring from your quick coupler socket will also be blown out of place. Removing caked on mud from heavy construction, farm or lawn equipment. Cleaning tar, glue or stubborn stains from concrete. Removing rust from steel and oxidation from aluminum. Removing paint from wood, masonry or metal. Removing grease or dirt from equipment. Removing marine growth from boats and marine equipment. General cleaning of dirt, mud and grime. Cleaning roofs, gutters and downspouts. Removing algae and bacteria build-up from pools. Rinsing surfaces in preparation for painting. Washing and rinsing of automobiles and boats. Cleaning roofs, windows, patios and driveways. Why is it important to keep the nozzles clean? 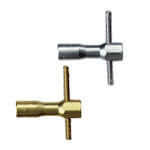 Our 1/4" threaded nozzles attach to the end of the wand by tightening in a normal clockwise motion. Nozzles feature specially hardened stainless steel construction for flow control accuracy as well as a longer life-span. Design provides optimized fluid dynamics to minimize turbulence and maximize spray performance. 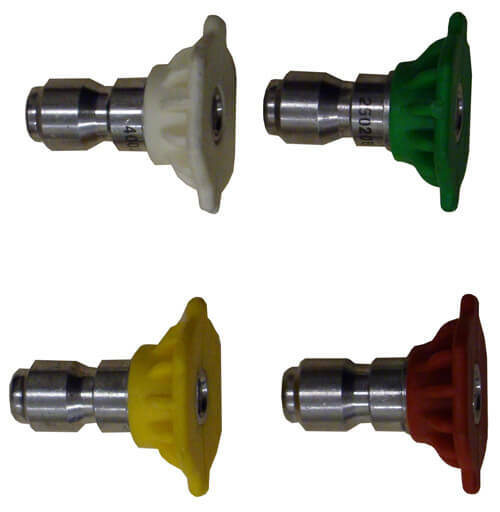 These nozzles are suitable for use with a wide range of flow rates and operating conditions and are available with a choice of spray patterns, spray angles and connections. We offer a large variety of hardened stainless steel high pressure nozzles.All WashJet nozzles (MEG) are available in different sizes and spray angles. Standard nozzles are 1/8" MNPT, spray angles 15° and 25° in sizes 1.0 to 5. This size is for use with Mosmatic surface cleaners and duct cleaners. Orifice recessed for protection. 4000 PSI rated working pressure. Check your attachment for quantity of nozzles needed. 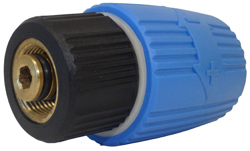 This Variable or Vari nozzle comes with the 1/4" quick connect plug that easily attaches to the tip of the wand. Twist the knob in order to get different spray disperes angles - from 0° to 80°. This nozzle replaces the need for other colored nozzles. Use it for pressures of up to 3000 PSI. The Soap nozzle works great and eliminates wasted time by applying cleaning solutions to your project instantly with ease. The soap nozzle has a larger orifice than spray nozzles which not only allows room for soap mixed with water; but also reduces the P.S.I. When your pressure washer is operating under low P.S.I it’s able to draw cleaning solutions from the chemical container. It’s is important to use the soap nozzle when apply soap/cleaning solutions. You can NOT use a regular spray nozzle (red, yellow, green, white) when applying soap/cleaning solutions. To make your life even easier; look at our “Roll Over Nozzle” which allows you to switch from a soap nozzle to a spray nozzle with a simple twist in less than a second. These Soap nozzles produce a uniform pattern of small to medium sized drops with maximum pressure of 500 PSI. 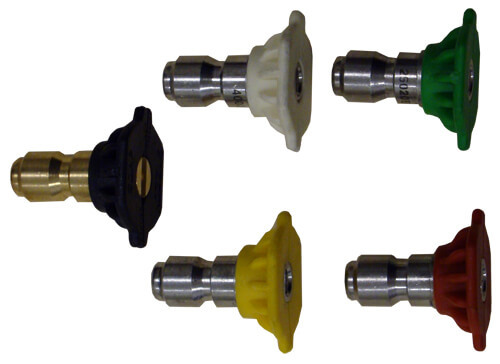 The one-piece nozzles feature unobstructed flow passages that minimize clogging. Constructed of brass, the nozzles have a recessed orifice for additional damage and wear protection. Excellent for soap application, wax application, and rinsing needs. The Flow Control Valve is a universal accessory to adjust pressure output of your pressure washer. Adjust the flow rate to reduce the pressure output for gentle surfaces like wooden decks, windows, awnings, patio furniture and other outdoor equipment. Connect between the trigger gun and wand, to adjust the flow through to control the nozzle pressure, easy to adjust the pressure and eliminate the back and forth to adjust the pressure at the pump end. Excellent for use for the pressure washer that do not provide the adjustable pressure regulator feature. The roll over nozzle is an excellent choice for anyone who uses more than one spray nozzle. Simply attach two of the most common nozzles that you use to the roll over nozzle and work continuously without wasting time to stop. This is also a great product if you often apply soap/cleaning solutions because it allows you to go from applying solutions with the soap nozzle under low P.S.I to cleaning with high pressure nozzles in a second. This product is commonly used by professionals whose projects consist of numerous surfaces and need multiple nozzles (ex. Cleaning a house/patio) Roll over nozzles are also commonly utilized at tunnel car washes where they often need to switch from applying cleaning solutions to high pressure washing. Tired of wasting time fumbling around looking for a spray nozzle? This spray nozzle holder is excellent whether you have a pressure washing business, or just pressure washing your patio on the weekend. 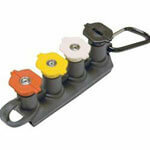 The spray nozzle holder is made of quality steel and rubber O-rings, designed to hold up to 7 spray nozzles. Just slide the holder onto the wand, and have easy access to your nozzles at all times. Shoots chemical up to 20 feet away. Use this long range soap nozzle for applying detergent at distance and elevation while standing firmly on the ground. Reach up to 40-60 feet away with this nozzle. Great for cleaning the sides of buildings or homes without ladders, scaffoldings or telescoping wands. It is a stainless steel, quick and easy, universal quick-connect compression fitting, that can be used with virtually any pressure washer. It can be used on vinyl siding, windows, buses, heavy equipment, hotel and restaurant windows, and the list goes on. 1. Connection - Attach nozzle to quick-connect gun. 2. Apply Chemicals - Placing siphoning hose into chemical container/bucket. 3. Rinsing - Place siphoning hose into container/bucket of clean water and rinse. Note: To achieve the cleaning and sudsing action as shown in this picture, add 2 cups of liquid detergent and 3 gallons of cleaning solution to a 5-gallon bucket. Place the siphoning hose in the bucket and use your LS nozzle to fill it with water. ** Some pressure washers might require the use of an adjustable chemical injector in order to get the most out of the Ladder Saver. 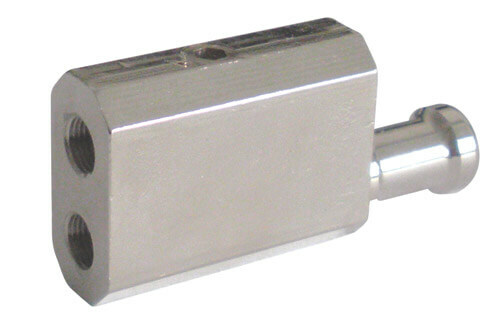 This trombone valve is a Hi Lo bypass valve that takes the place of a dual lance valve. It is quicker, with simple movement and features a faster change from high to low. This nozzle is good for use in auto detailing and jobs with tighter corners. Nozzle opener tool quickly cleans material from nozzle orifice, extending the nozzle life. You will find here all the hoses you need!